The genealogy of Jesus in the Gospel of Matthew was not removed ONLY because the vast majority of Christians are incapable of understanding the great truths that are presented. Those who understand the meaning of the numbers will understand that the three subsequent stages of birth presented in the genealogy of Jesus in the Gospel of Matthew, is also presented in the parable of the Sower and the Seed (see http://Messianic.Nazirene.org/sower_seed.html ). In the parable, the initial soul-generated image or personality is projected into the body of a woman at conception -- and this projected soul-image is the seed that has been cast into the earth. The sperm of the father fertilizes the ovum of the mother, and the image of the pre-existent Soul of the child that is to be born, is projected into the embryo that forms at conception. But one of the most important aspects of the parable of the Sower and the Seed that is not understood is presented in the example of the seed that was planted in the "good ground" where it states: "But other seed fell on good ground and yielded a crop that sprang up, increased and produced: some thirtyfold, some sixty, and some a hundred." What is being presented is the subsequent stages of birth in the words "...some thirtyfold, some sixty, and some a hundred." The term "thirtyfold" is representative of the next stage of birth that enables the person to become At-One with their higher Soul-Self. The term "sixtyfold" is representative of the third stage of birth that enables the person to become At-One with their Spiritual-Self. The term "a hundred" is representative of the last stage of birth that enables the person to become At-One with the Logos/Son of God (see http://BrotherOfJesus.org#AtOnement ). Thus, in each of the subsequent stages of birth, you must "turn about" and become a child of that kingdom you have entered through the process of birth. At each level of birth, you must "turn about", and become as a child or "little one". Perhaps one of the finest examples of the organic mind's attempt to explain away from a purely physical/carnal perspective what it should be investigating, is demonstrated in the genealogies of Jesus. The fact that the genealogy presented in Luke is not the same as that in Matthew, has long been the source of many dogmatic theories. But the fact that the genealogy in Matthew contains four women, and three foreigners, should immediately send up a red flag warning that these genealogies cannot -- and never were intended -- to be read literally. Further, two of the women were strangers to the commonwealth of Israel, Rachab a Canaanitess, and a harlot besides, and Ruth the Moabitess. In the pedigree of the kings of Judah, between Joram and Ozias (v. 8), there are three left out, namely, Ahaziah, Joash, and Amaziah -- and therefore Joram could not have begat Ozias. When it is said (v. 12) that Jechonias begat Salathiel, that Jechonias was the son of that Jehoiakim who was carried into Babylon, the scriptures tell us that Jechonias was childless (Jer. 22:30), and in direct contradiction to what is written in Matthew, it is written that “No man of his seed shall prosper”. [Josias begat Jechonias and his brethren, about the time they were carried away to Babylon:] There are three considerable difficulties in this verse. 2. Jechonias had no brethren; at least, none are on record. 3. Josias died 20 years before the Babylonian captivity took place, and therefore Jechonias and his brethren could not have been begotten about the time they were carried away to Babylon. To this may be added a fourth difficulty, namely, there are only thirteen in this 2nd class of generations; or forty-one, instead of forty-two, in the whole. When rightly understood, the number forty-one instead of forty-two among other things would signify that the last stage of birth was not Complete -- and the whole of the Gospel portrays the Completion of the final stage of birth in the allegorical account of the crucifixion. While it remains virtually impossible to interpret the above genealogy of Jesus from a literal/historical perspective, it is generally ignored by most students of the scriptures because they lack the ability to uncover the spiritual meaning. The sequence of the numbers fourteen, fourteen and fourteen, signifies the Son of Man as signified in the number four, and personified in the name of David. When we add in the number ten which gives us the number fourteen, what we have is the Son of Man reigning in the Kingdom. And while the sequence of fourteen, fourteen and fourteen would signify achieving the three subsequent stages of birth, the fact that the numbers actually present to us the sequences of fourteen, fourteen and thirteen, conveys to us the necessity to achieve Completion and Perfection in the final stage of birth that the man Jesus accomplished in the allegorical portrayal of the crucifixion. And while it is impossible to interpret the genealogy in Matthew literally/historically, alleged biblical experts are clueless to understand not only the spiritual meaning, but also what the implications are in the life of all of mankind. If the historical man Jesus had to achieve the three stages of birth prior to his becoming the Anointed (Messiah/Christ) in that life, then the question becomes: When were these subsequent stages of birth achieved? Certainly not in the life as the man Jesus. Which means that the historical man Jesus lived many previous lives where his Soul evolved to the degree that the subsequent stages of birth could be achieved, and when his Soul entered the life of Jesus, he was only then able to achieve Completion, Wholeness and Total Perfection. But this raises the ultra-important question that, if the Soul of the historical man Jesus lived many lives in this world in order to achieve the necessary subsequent stages of birth, which enabled him to become At-One With The Logos/Son Of God (see http://BrotherOfJesus.org#AtOnement ). And if it is true that the Soul of the historical man Jesus evolved to the perfection over the course of many lifetimes, this would indicate that all of mankind is presently evolving to this same level of perfection as presented at Matthew 5:48 which sets forth the requirement: "You therefore must be perfect, as your heavenly Father is perfect". If each Soul must achieve the same level of perfection that the historical man Jesus did, then each Soul will have to achieve this perfection over the course of many lifetimes. By achieving the subsequent stages of birth the person receives the Divine Manna or Sacred Knowledge of the Kingdom -- i.e., "To him who overcomes will I give to eat of the hidden manna" (Rev 2:8-17). And it is this Spiritual Nourishment or Divine Manna that neither the Gentiles or the Jews could receive (see The Divine Manna - The Gospels - The foundation of the New Covenant http://BrotherOfJesus.org#NewCovenant ) of the Kingdom that only those who reject the teachers and authorities of this world and seek inwardly can receive. Why? Because their beliefs act as obstacles to their higher development of mind and spirit. Unless they understand that within them is the True Source of Knowledge that they must seek, they will be functioning in an Old Covenant Mode -- even when they read the New Testament. 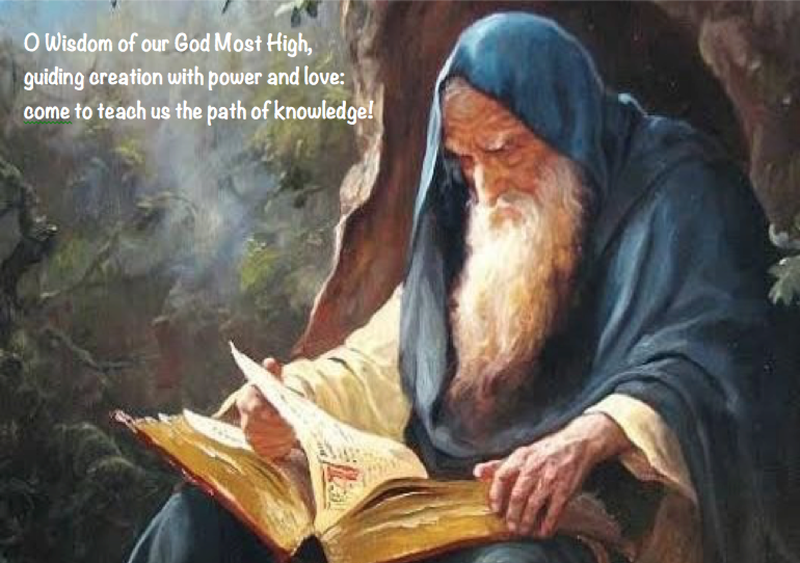 Further, because of the removal of a number of key teachings from the Gospels, the lack of this self-knowledge has flat-lined those who seek the knowledge and wisdom of this world in an Old Covenant mode of thinking and teaching. Jesus said to Nicodemus that you must be born again to enter the Kingdom. In order to demonstrate this reality, lets quote the account of Nicodemus from the Gospel of the Nazirenes instead of the Gospel of John where this ultra-important teaching has been removed from the canonical Gospels by the Gentile Church. Thus, in the Gospel Of the Nazirenes we can see preserved the more complete interaction with Nicodemus on the need to be born again to enter the Kingdom which is presented in the 37th Chapter: "Jesus sat in the porch of the temple, and some came to learn His doctrine, and one said to Him, Master, what do you teach concerning life? And He said to them, Blessed are they who suffer many experiences, for they will be made perfect through suffering; they will be as the angels of God in heaven and will die no more. Neither will they be born any more, for death and birth have no more dominion over them. They who have suffered and have overcome will be made pillars of the temple of my God, and they will go out no more. I say to you, except you be born again of water and of fire, you cannot see the kingdom of God. And a certain Rabbi, Nicodemus, came to Him by night for fear of the Jews, and said to Him, How can a man be born again when he is old? Can he enter a second time into his mother's womb and be born again? Jesus answered Except a man be born again of flesh and of spirit, he can not enter into the kingdom of God. The wind blows where it lists, and you hear the sound of it, but can not tell from where it comes or to where it goes. The light shines from the East even to the West; out of the darkness. The sun rises and sets into darkness again; so is it with man, from the ages to the ages. When it cometh from the darkness, it is that he has lived before, and when it goes down again into darkness, it is that he may rest for a little, and there after again exist. So through many changes must you be made perfect, as it is written in the book of Job, 'I am a wanderer, changing place after place and house after house, until I come into the city and mansion which is eternal. And Nicodemus said to him, How can these things be? And Jesus answered , You are a teacher in Israel, and do not understand these things? Truly, we speak that which we know, and bear witness to that which we have seen, and you do not receive our witness. If I tell you of earthly things, and you do not believe, how will you believe if I tell you of heavenly things? No one ascends into heaven, unless they descended out of heaven, even the son or daughter of man which is in Heaven." If it is true that each person is "...a wanderer, changing place after place and house after house, until I come into the city and mansion which is eternal", then each Soul is returned back into this life if they fail to achieve the subsequent stages of birth that is necessary for the prodigal sons and daughters to return to the Edenic Kingdom of Origination. On page 220 of the book, Fragments Of A Faith Forgotten by GRS Mead, he quotes the Septuagint and writes: "Job ii. 9: And I am a wanderer, changing place after place and house after house. The... passage is found in the version of the Seventy, but is omitted in the English translation." Why is this passage deleted in the English translation? That this saying is authentic is demonstrated in the fact that it is quoted by the Church Father Hippolytus in his Refutation of All Heresies, Bk VIII, 3, where he writes: "And that these things are so, says (the Docetic), it is possible also to perceive from Job, when he uses the following words: "And I am a wanderer, changing both place after place, and house after house.'" What does it mean that "I am a wanderer, changing place after place and house after house, until I come into the city and mansion which is eternal." Especially since it appears that those who function in and Old Covenant Mode and walk the broad-way of destruction, cannot bring about the necessary subsequent stages of birth. It is therefore imperative to understand that the word translated "destruction", in no manner represents what is actually being presented by the interpreters of the Greek biblical texts. Quoting the footnote on this word in the Schofield Reference Bible which reads: “There is no thought in these various words of annihilation but of something that is ruined and thus unsuitable or unable to fulfill its original purpose”. Which demonstrates the validity of the statement by the Church Father Origen who wrote: “Every soul... comes into this world strengthened by the victories or weakened by the defeats of its previous life” (Origen, De Principiis). Which confirms that statement: "Do not be deceived, God is not mocked; for whatever a man sows, that he will also reap" (Gal 6:7 NKJ). And of interesting note is the statement by The Hastings-Scribner Dictionary Of The Bible (New York, 1903. Bk 4, p. 63) which proclaimed that "To affirm that Jews in Christ's time did not believe in pre-existence is simply incorrect". Which is why the disciples of Jesus ask the question: "The disciples of Jesus were persuaded that a man might have sinned before he was born, (John, ix. 2,) and the Pharisees held the transmigration [reincarnation] of virtuous souls, (Joseph. de Bell. Judaico, l. ii. c. 7;) and a modern Rabbi is modestly assured, that Hermes, Pythagoras, Plato, etc., derived their metaphysics from his illustrious countrymen" (Gibbon; Decline & Fall). What is being made reference to is the question asked of Jesus about blindness: "Now as Jesus passed by, He saw a man who was blind from birth. And His disciples asked Him, saying, 'Rabbi, who sinned, this man or his parents, that he was born blind?'" (John 9:1-2). In the Gospel of the Nazirenes this same verse reads: "And at another time as Jesus passed by, he saw a man who was blind from his birth. And his disciples asked him saying, Master, who did sin, this man, or his parents, that he was born blind? Jesus answered, To what importance is it whether this man or his parents sinned? The rewards of our actions return again to us so that the works of the Lord are made manifest." How are the works of the Lord made manifest? Again, in the Gospel of the Nazirenes it is explained: "As in Adam all are bound to cycles of rebirth, so in the Messiah shall all be made alive. Blessed are the dead who die in me, and are made perfect in my image and likeness, for they rest from their labors and their works do follow them. They have overcome evil, and are made pillars in the temple of my God, and they go out no more, for they rest in the eternal. For them that persist in evil there is no rest, but they go out and in, and suffer correction for ages, till they are made perfect. But for them that have done good and attained to perfection, there is endless rest and they go into life everlasting. They rest in the eternal. Over them the repeated death and birth have no power, for them the wheel of the eternal revolves no more, for they have attained to the center, where is eternal rest, and the center of all things is God." In the question presented to Jesus -- i.e., "Rabbi, who sinned, this man or his parents", a reality that the modern Christian does not at all understand is the fact that the Gospels portray three reasons for people being born blind from birth -- i.e., (1) the sins committed in the Soul's previous lives; (2) the sins committed by the parents; (3) and the inherent blindness as a condition affecting all of organic "natural" man when his/her development has been derailed (see Arrested Mental Development ). Basically, all the people who function in an Old Covent Mode and walk the "broad-way", fail to develop the areas of mind that enable them to begin to tap into the inner Source of Knowledge, and therefore their development of mind is derailed. Jesus portrayed the Pharisees as "blind guides", because their thinking, mindset, religious framework of thinking and their lifestyle inhibited their higher development. Because of their inherent organic blindness, they saw only the literal text of the scriptures that Paul portrayed as the "letter that killeth [and] Jewish folktales" (see 2 Cor 3:6; Titus 1:14) -- unable to perceive or comprehend the inner spiritual meaning of the scriptures. And Jesus made note of this condition of organic blindness when he stated to the Jewish leaders: "Why do you see the speck that is in your brother's eye, but do not notice the log that is in your own eye? Or how can you say to your brother, 'Let me take the speck out of your eye,' when there is the log in your own eye? You hypocrite, first take the log out of your own eye, and then you will see clearly to take the speck out of your brother's eye" (Matt 7:3-5). What is not at all understood is the fact that Organic Blindness is the normal undeveloped embryonic mental condition of mind. And what this means is that because of undeveloped immaturity, all of mankind are born blind to their own higher Soul and Spiritual Reality. All of mankind remains blind, so long as they are functioning in an Old Covenant Mode and as what Jesus portrays as "dogs" ("do not give what is holy to dogs"), seek their knowledge from the authorities and wisdom of the outer world -- thereby, rejecting the New Covenant mode that enables the mind to develop beyond organic human levels of limited consciousness. And as the mind of man matures and evolves to a condition of Wholeness-- i.e., They that are whole have no need of the physician, but they that are sick: I came not to call the righteous, but sinners to repentance" (Mark 2:17) -- the fullness of perceptive-vision and enlightened understanding will come -- unless the process of developmental-maturity of mind and consciousness is derailed by mental obstacles and/or a carnal lifestyle immersed in the ways and thinking of this world (see Spiritual Amnesia http://AnInconvenientTruth.org#SpiritualAmnesia ). Another ultra-important teaching that was removed from the canonical Gospels has been preserved at Gospel of Thomas saying 84 which reads: "Jesus said, When you see your likeness, you rejoice" -- and it is this likeness that is our own source of Being -- our soul-self, who is the Being of Light in the Near Death Experience. And the Gospel of Thomas asks the question: "...But when you see your images which came into being before you, and which neither die nor become manifest, how much you will have to bear!" These images which came into being before you, are the past lives that your soul-self has previously lived, that have all failed to bring about the next stage of soul-birth that Jesus taught was necessary to enter the Kingdom. And thus, these past images which your Soul and True-Self has lived, remain within the House of the Soul as the experiences of failed lives that never became manifest. Which means that as a failed-image, you will neither go to Glory with God, nor will you reincarnate -- and lacking the permanence of the Soul, you will remain forever as an experience in the House of the Soul. The reality of man’s plight in this world is that he is an embryonic image of his pre-existent soul that has entered into this realm in order to perfect those laws and elements that he must overcome. In the same way that a fetus is an embryonic copy of its parents, our mind is an embryonic image of our soul. In the same way a fetus must grow and mature in accordance with the pattern of its parents, our mind must grow and mature in the pattern of our soul. When our mind grows in the culture of this world, and becomes alienated from our soul, then our life becomes synonymous with the miscarriage of a fetus whose defect fails to develop it in accordance with its physical genetic pattern. What this means is that the Original Teaching on the pre-existant Soul that evolves to Completion over the course of many incarnations, has virtually little in common with the Eastern doctrine of reincarnation. But the fact that the failed images of the Soul that did not become "manifest", continue to dwell as a sub-personality within the House of the Soul, means that both doctrines must be recognized as "entry-level", and both are misconceptions of a higher reality that "natural" man in his organic condition of mind, is incapable of comprehending. The Higher Reality of the Soul that Paul warns is incomprehensible from an organic condition of mind, is explored at http://SoulSelf.org . What this means is that the vast majority of people don't remember the previous lives their Soul has lived, because the soul-image that they are in the present, never lived those previous lives. Why does the Soul generate images into this world at conception? Because the Soul is a twelve-dimensional Being of Light ( http://BeingOfLight.com ) that cannot directly incarnate into this three-dimensional realm or earthly-womb. In much the same way, Creator-God cannot directly incarnate into this world, because the dimensions within the Mind of God are Infinite. In order to manifest in this world, the soul-generated image must bring about the next stage of birth that would make the person At-One with their Soul-Self. And in order for God to manifest in this world, a Soul the Spiritual Stature of Jesus must achieve the third-stage of birth that enabled him to become At-One with the Logos (aks Son of God and True Prophet) which Spiritual-Birth is explored at At-Onement With The Logos/Son Of God http://BrotherOfJesus.org#AtOnement . Within the Higher Reality of the Soul, all the previous incarnations that are portrayed as soul-images in the Gospel of Thomas, continue to live and dwell within the House or Mind-Matrix of the Soul (see The Matrix Of Soul-Mind http://TreeOfLife.Nazirene.org#MatrixOfMind ). In the words of St. Teresa: "The soul is as a castle made of a single diamond… in which there are many rooms, just as in Heaven there are many mansions” (Interior Castle by St. Teresa of Avila). When rightly understood, each soul-generated image must return to their Source in the Higher Realty of the Soul. What this means is that the higher Soul-Self generates embryonic images at the conception of the body -- and these soul-images then begin the process of evolving through the levels and stages of birth that Jesus portrayed in the words: "...Most assuredly, I say to you, unless one is born again, he cannot see the kingdom of God" -- means that those soul-images that, after emerging out of the physical womb of their mother, and into the environment of this world, have begun the next phase necessary in order to bring about the next stage of birth. That you are a thought-image which has been generated by your higher soul-self -- i.e., you exist as a projected embryonic seed-image which has been impressed into the physical body at conception -- is the reason why Paul and the earliest of biblical texts warn that carnal man is not even "known by God" (see Soul-Image). Therefore, you exist as a Creation of God only by proxy -- and by virtue of the fact that you are a thought projected by your soul -- and it was your soul that was Created by God in the beginning. And thus, the reality of the words to Know Thyself -- and a house that is divided, cannot stand. With respect to The Two Ways as taught in the words: "Enter by the narrow gate; for wide is the gate and broad is the way that leads to destruction, and there are many who go in by it. Because narrow is the gate and difficult is the way which leads to life, and there are few who find it" (Matt 7:13-14 NKJ) -- it is imperative to understand that the word translated "destruction", in no manner represents what is actually being presented by the interpreters of the Greek biblical texts. Quoting the footnote on this word in the Schofield Reference Bible which reads: “There is no thought in these various words of annihilation but of something that is ruined and thus unsuitable or unable to fulfill its original purpose”. That the higher soul-self generates embryonic images at the conception of the body -- and these soul-images then begin the process of evolving through the levels and stages of birth that Jesus portrayed in the words: "...Most assuredly, I say to you, unless one is born again, he cannot see the kingdom of God" -- means that those soul-images that, after emerging out of the physical womb of their mother, and into the environment of this world, have begun the next phase necessary in order to bring about the next stage of birth. That you are a thought-image which has been generated by your higher soul-self -- i.e., you exist as a projected embryonic seed-image which has been impressed into the physical body at conception -- is the reason why Paul and the earliest of biblical texts warn that carnal man is not even "known by God" (see Soul-Image). Therefore, you exist as a Creation of God only by proxy -- and by virtue of the fact that you are a thought projected by your soul -- and it was your soul that was Created by God in the beginning. And thus, the reality of the words to Know Thyself -- and a house that is divided, cannot stand. That for countless reasons these soul-images which enter this world in the bodies of man and woman mostly fail to bring about the objective of achieving the next stage of birth that Jesus said was absolutely necessary to achieve permanence in Life, is very much true that they have become as portrayed in the Schofield Reference Bible as being "...ruined and thus unsuitable or unable to fulfill its original purpose”. As soul-images that failed to evolve through the next stage of birth, they are for the most part temporal -- being temporal, they can never reincarnate as many in the New Age believe -- and neither can they go to Glory as the Church promotes. The fact that some people claim to see their past lives, have been deceived when they mistakenly believe that they lived those lives, and the memory has been suppressed. What they are in effect seeing, is the images which their higher soul-self has previously generated -- failed images which is the Gospel of Thomas saying 84 are portrayed in the words that "...when you see your images which came into being before you, and which neither die nor become manifest, how much you will have to bear!" And these failed images which walked (what Jesus portrayed as) the broad-way of self destruction -- i.e., "...ruined and thus unsuitable or unable to fulfill its original purpose” -- neither reincarnate, nor go to Glory in the Christian sense of the understanding -- and yet, they remain within the higher reality of the soul in that dimension of mind which man, in his very limited understanding, calls time (see The Enigma Of Time And The Soul Of Man).